Added 8/31/2009 Bender. 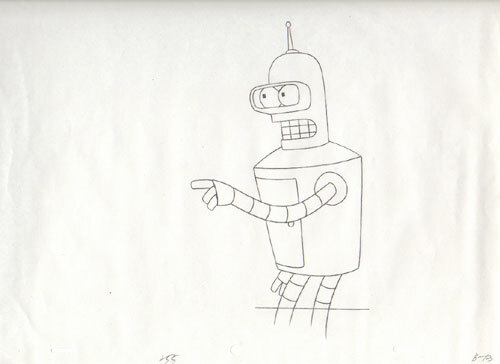 From that one guy on eBay who has Futurama art from like two shots, at least some of which is traceable to the pilot. This is a little generic to easily ID, but I'll keep an eye out for a screencap and episode ID.